The station is situated between the metro-shaped park and Zhongzheng Road, near Zhongshan North Road and Wenlin Road. 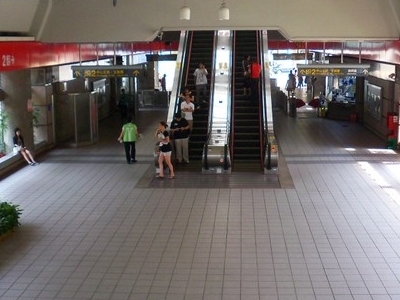 The station is an elevated structure with one island platform and two sided exits. The restrooms are inside the entrance area of both exits. In the future, the station will allow transfers to the planned Circular Line via an underground station. 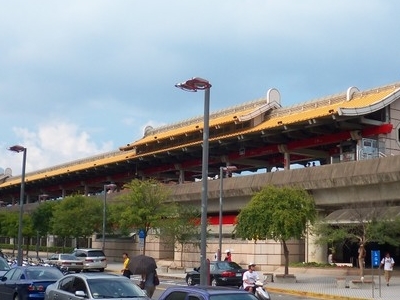 Here's the our members favorite photos of "Railway Stations near Shilin". 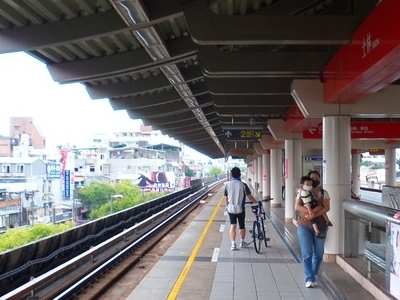 Upload your photo of Shilin Station!